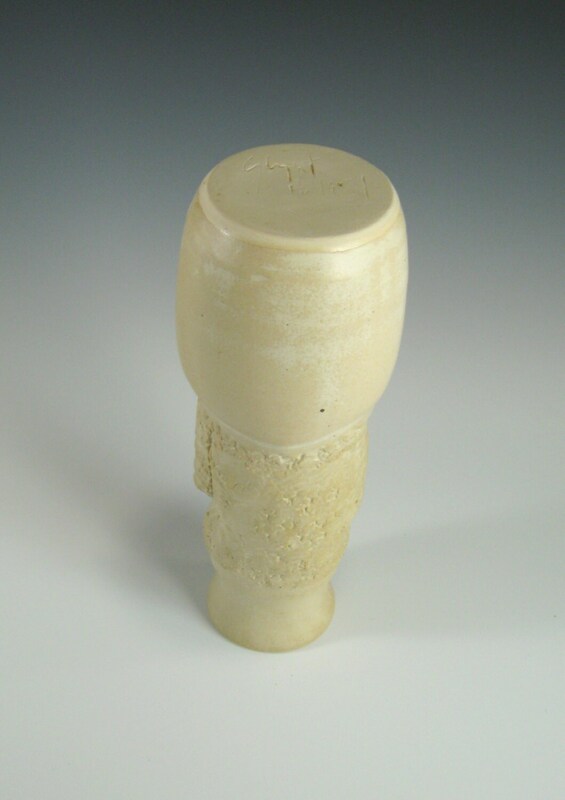 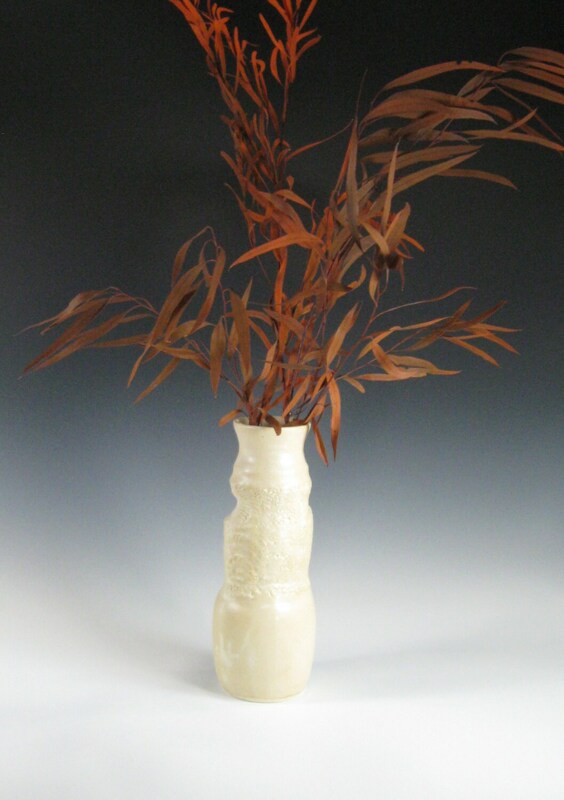 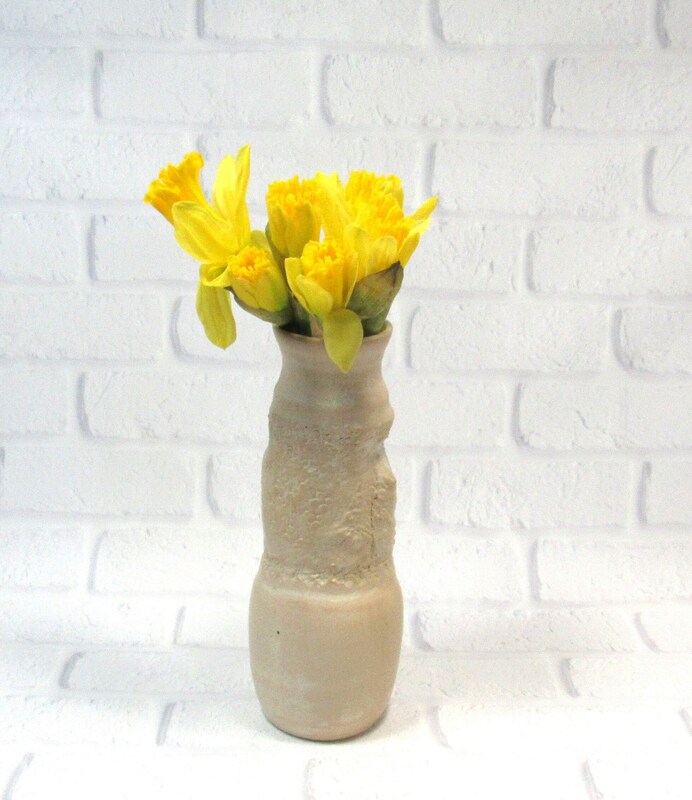 This cream-colored ceramic bud vase is sure to be become a conversation piece! 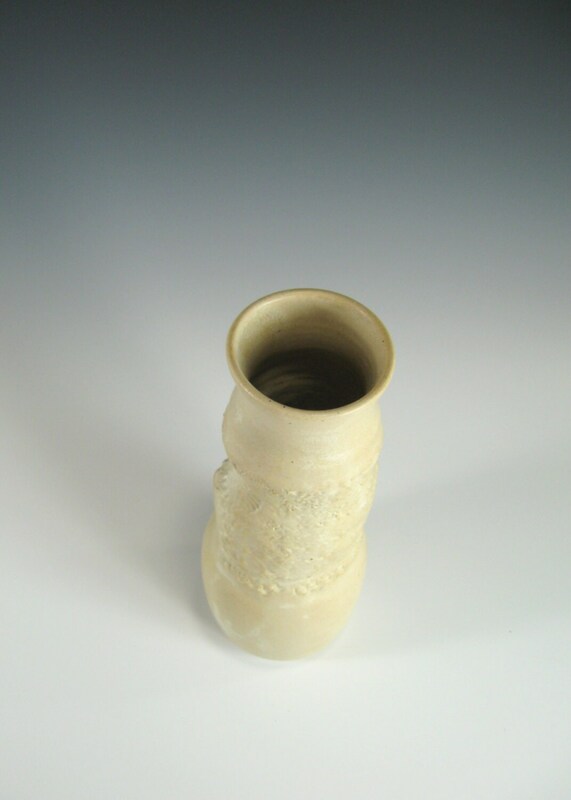 It was thrown on the potter's wheel and altered. 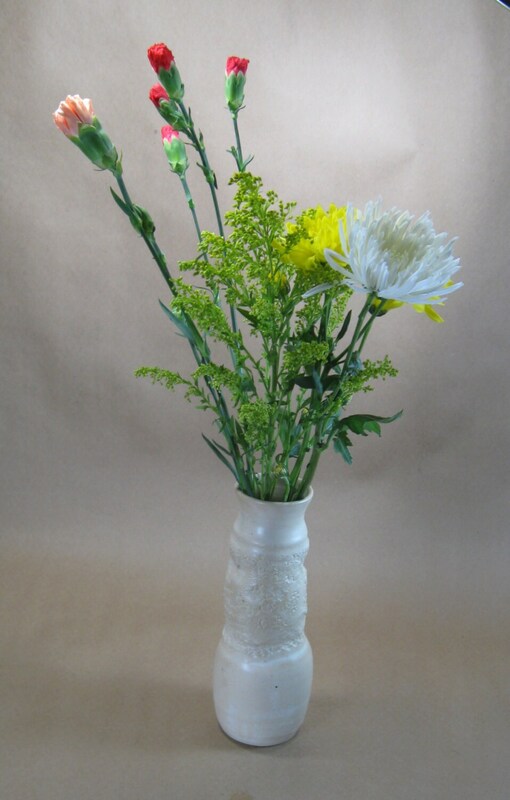 I separated the top from the bottom and inserted a handbuilt section that was impressed using a doily. 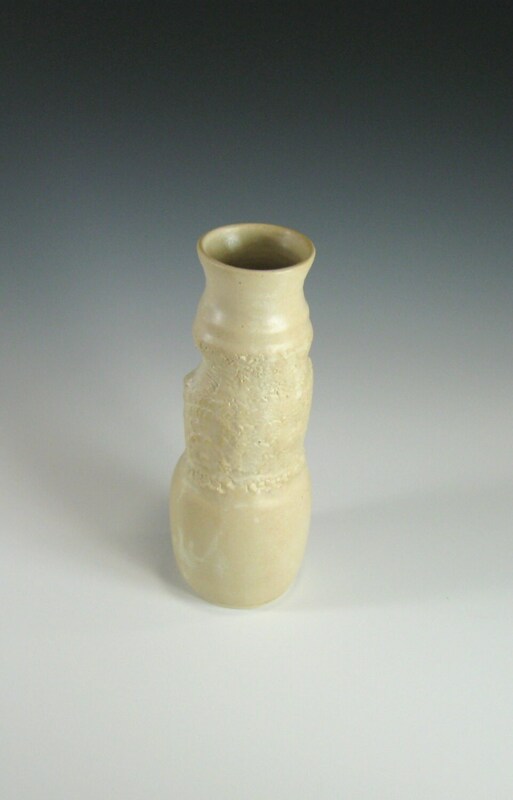 The vase is 8 inches tall and 2 inches at the opening.